From time to time, we all look to find an ideal gift for our loved ones; especially when these people are special to us. For this reasons, I came up with 5 of the best gift ideas for men for your considerations. The may not be a complete list, but they are popular and unique gift you may give your man. We all like to smell nice; and perhaps, most men appreciate the gift of perfume as a gift. Be that as it may, perfumes has always been regarded as a romantic gift. They are most ideal as a birthday gift for many men. If you're shopping for your boyfriend, dad, or friend, or in-law, there is no unique gift better than perfume. In fact, fragrance has always been an emotional gift. 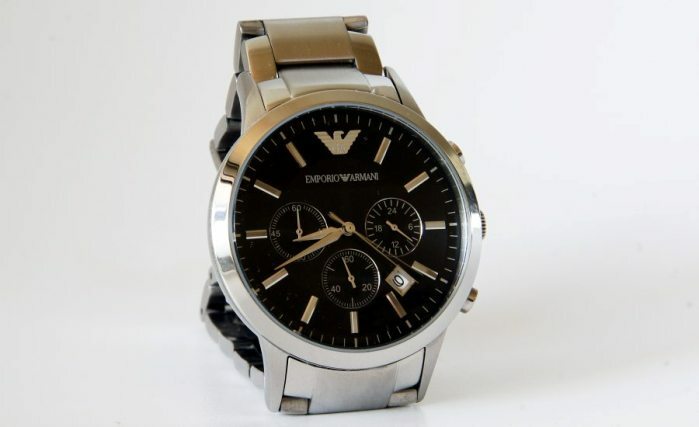 Wrist watch as a gift is my favorite; as a matter of fact, it is a fantastic gift for men. It is a present that is always appreciated by any man; in fact, it a a unique present that you can also give out for many occasions. Uniquely, men's wrist watches are unique birthday gift to show show a sign that you appreciate time spent together with the man. Cufflinks a must-have jewellery for a man offers the man an opportunity to display his unique style through jewellery, replacing the buttons on a shirt cuff with bright, distinctive and even personalized novelties. As small as they are, small in appearance, they actually make a considerable impact to men’s appearance whenever they are worn. Jewelry is one fashion accessory that we all love. Apart from it being a personal ornaments for individuals, it is also a pleasurable item because it is somehow romantic. Given a man a jewelry as a give show a sense of romance to him. In addition, always remember that jewelry (especially gold) are precious jewels. Apart from protecting the eyes from the damages from the sun’s harmful rays, it is also a fashion accessory that men love. So given a man a sunglasses signify that you are not only interested in is fashion lifestyle, but also interested in his well being. If your man is a hunter, I consider buying a crossbow scope a good idea for a gift: Otherwise, a good watch or a gaming console also works, if he is younger. I think price is not as important as value.I think it is important to leave an impression, emotions from this day and from everything that will happen.I chose to give preference to how to arrange the whole holiday. We had dinner, everything he loves, the program was thought out, and there was a camel star https://bstars.eu I think he was happy. He had a good time, nothing extra or missing. All as it should have been.